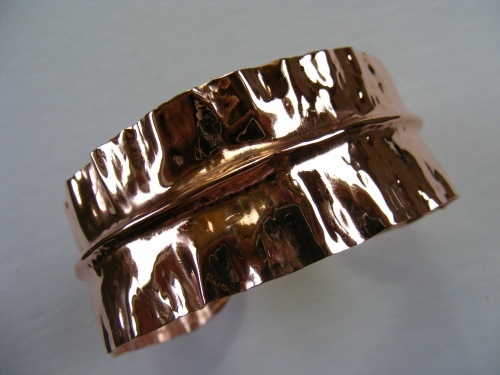 This copper cuff is so different with its foldformed ridge along the middle of the piece and then its hammered and ruffled edges. Measures 1 1/4" wide and can be made to fit any size wrist. Piece has a wax sealer on it to help minimize tarnish process.